My published work to date covers two different genre's - so hopefully you'll find something to your taste! Titles in the 'Local' series (published by Lion Hudson) have their own pages - take a look at Local Poet and Local Artist for a preview. My other books are listed below - have a browse! (Click on the pictures for a link to Amazon or other site where you can buy!). Finally! 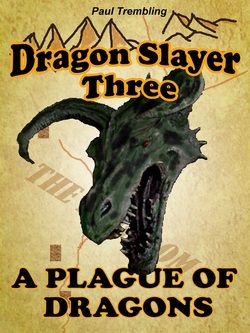 It's been a long time coming, but I've now put all the Dragon Slayer stories together in one volume: 'The Complete Chronicles'. It's available now on Nook, Kobo, and several other e-book platforms. Also as a paperback from Lulu. 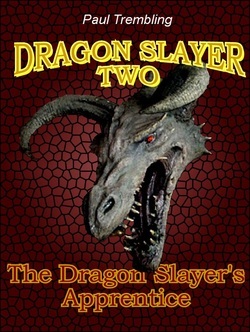 I haven't put it on Kindle yet, as all the Dragon Slayer stories are still available there in several volumes (see below). (Link from the picture goes to Lulu. Available on Kindle as five separate books - see below). My thanks to Alison Apperley for permission to use her art work in the cover. IN THIS WORLD, THERE IS NO ST. GEORGE. When Rimsey Stolworth is selected to be the next sacrifice to appease the village dragon, she knows that no one is coming to her rescue. All she has between her an the dragon's gut are her courage, intelligence, and a book about dragons. The Reality Escape Committee exists to offer you, the reader, an opportunity to leave your current existence behind and to go somewhere new. To experience a different reality. For that purpose, we have here published the Minutes of a recent meeting, in which nine different realities are documented. Nine different ways of escape. Some of these worlds may seem very different from your own. Others will appear more familiar, at first. It is hard to say which may be the most frightening. However, the Committee would remind all travelers that these realities are not your won, and you can return at any time. Barry Sutter is a Scenes Of Crime Officer with a big problem. He's accepted too many favours from the wrong sort of people, and now they want payback. Which could cost him his job and his freedom. But if he doesn't deliver, it could cost him his life. Available on Amazon for Kindle and paperback. Also available for I-pad and Nook, will shortly also be published on Kobo. A Murder. A Clue. An Obsession. Scenes of Crime Officer Marcie Kelshaw didn't like her colleague, Ben Drummond. Nobody did, really. Nevertheless, when she stumbles across a clue to his murder, she thinks it should be followed up. Even without any official backing. Even when it strains her friendships, risks her career, and endangers her family. The trail of clues leads to some dark and terrifying places, a murderous climax, and the truth about Ben’s murder – which was not at all what it seemed. 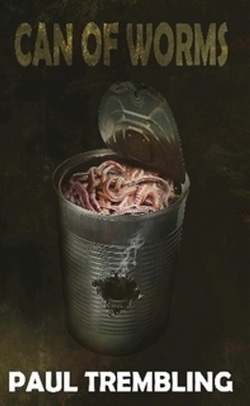 Along the way, she’ll open more than one can of worms. This is CSI UK. Less glossy, more gritty. 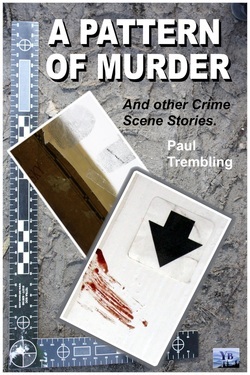 "As a operational CSI myself it was really nice to read a realistic book about police investigations." "This is a cracking British crime thriller, with a believable female lead in Marcie, the SOCO who can't seem to resist getting involved, despite being thwarted at every turn. I thoroughly enjoyed this. Good solid investigative details against a clever plot that culminates in a thrilling finale. " "The tension builds expertly throughout the story and I was on the edge of my seat. The plot twists keep you engrossed and the peak of the storey is explosive! I would definitely recommend this book." In this world, there’s no St George. When Rimsey Stolworth is selected to be the next sacrifice to the dragon, she knows she’s in trouble. She’s the tenth to be chosen, and the other nine all died. Unpleasantly. But she has three things in her favour – guts, brains and a book about dragons. It could be the dragon that’s in trouble! 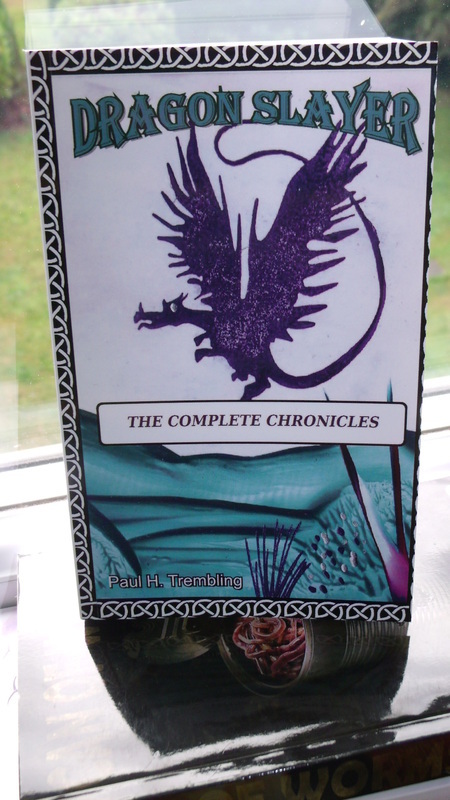 "Sprinkled with light quirky humour, interesting characters, mild social comment and bloodthirsty dragons, I heartily recommend Paul Trembling's "The Ways of Dragons" to anyone. Short but tremendously entertaining, at this price a snap." "A short but very entertaining read. And I did enjoy the quote from the first story, when the supposed-to-be virgin sacrifice to the dragon tells her parents that she'd thought of losing her virginity so that she would no longer qualify. 'Better up the duff than down the gullet.' But anyway, as we soon learn, the dragon doesn't care whether the human is virgin, young or even female. Rimsey is a great heroine, with a dose of common sense as well as a big dose of courage. Three enjoyable tales for a tiny price." Rimsey is enjoying her new life as apprentice to Aldors Morrin, Master Dragon Slayer. It’s steady work – there are plenty of dragons out there. Plus which she’s learning new skills, travelling widely, and meeting some interesting people. People like Sir Marnon of the Dragon Slayer’s Guild, and the fascinating Dragon Priests. Of course, it’s not all glamour. On the down side, those interesting people are trying to kill her, and the dragons want to eat her. You don’t mess with Rimsey! I have read all of the Rimsey Stories in my capacity as Editor of Welcome to Wherever - one of the perks of the job that I really enjoy - and I can fully recommend these stories, both in this book and in the first of the series The Ways of Dragons (Dragon Slayers). The writing is smooth, the comedy wry and very funny; but the main thing that I find most engaging about these stories is the main character. Rimsey is a strong, independent woman who knows exactly what she wants, in a realm that doesn't recognised the equality of women. I adore these books (and coming from someone who loves dragons, that means a lot!) and think that Rimsey should be travelling a lot further than just her realm - she ought to be teaching teenagers in this realm a thing or two about their gender! Rimsey Stolworth is the youngest Master Dragon Slayer in history, as well as the first woman to carry the title – and quite possibly, the best ever. She’ll need to be. Dragons are spreading like a plague over the kingdom, and appearing in some unlikely places. Rimsey will need all the skill, courage and wit that she can muster to deal with them, especially as she must now face them alone. I read the first book in the series a while ago now and had forgotten how good Paul Trembling is at telling stories. In fact, I read this straight after the second in the series, (The Dragon Slayer's Apprentice) in a oner. OK, they're not long books and so it didn't take long, but they are extraordinarily well written and damned hard to put down. I'm looking forward to book four which should be coming out soon. Dragons come in different colours. Most are different shades of grey. Blue-grey, green-grey, yellow grey – all viscous, all dangerous, all permanently hungry. But nothing that a competent Dragon Slayer can’t deal with. Red dragons are different. Red dragons breathe fire. 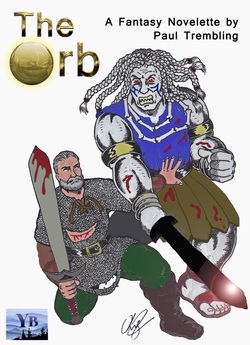 It’s eight hundred years since they were last seen – but now they’re back: tougher, deadlier and far harder to kill than any grey dragon. Even worse are the Bronze dragon’s. Terrible beasts out of legend, monsters that lived only in ancient stories. Nobody believed that they were real – until now. But the Golden dragon is a nightmare that even the most ancient myths have forgotten. By its power the Dragon Empire will rise again, and humankind will be its slaves – or its food. The only one standing in the way is Rimsey, First Master Dragon Slayer. And she’s never been beaten yet – by any colour of dragon. Rimsey Stolworth, First Master Dragon Slayer, has retired from the profession and is awaiting her forthcoming marriage to Duke Haldas of Fayne Broden. But she finds it difficult to leave her old life behind, and when news comes of a live dragon roaming the hills and terrorising a village she doesn't hesitate before going after it. 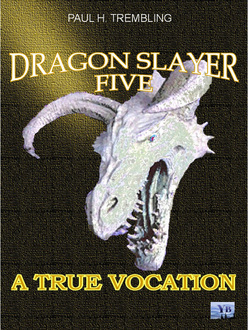 After all, Dragon Slaying is the one thing she has found in life for which she has a true vocation. 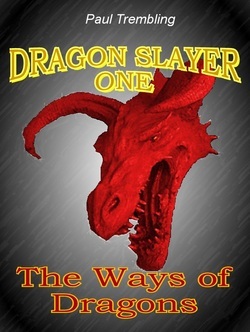 Paul's Dragon Slayer series is awesome. I love discovering his dragonology, enjoy all the characters he has created and particularly appreciate the strong female protagonist. My husband, my three teenage sons and I have enjoyed each book and just wish he would keep more coming! A good read. When you hear your toys talking, it’s unusual. When you hear what they’re talking about, it’s scary! Something bad is happening in Toyland. Toys are going there and not coming back. When Danny hears his three favourite toys - Polo, Spot and Benjy - planning to go and investigate, he decides to go with them. After all, they might need his help! And so they do, but he’ll need their help as well, And it will be a wild and exciting adventure for all of them before the mystery is solved and the trouble put right! A story for Children of all ages! On Amazon (for Kindle) under the pen name 'Henry Linden', or available as a paperback from Lulu.com. A super little book for kids of all ages. I enjoyed reading this with my grandson who was entertained and found the story exciting. Easy to read too, for children able to read alone. I'd definitely look for more by the same author. Recommended. A lie that will destroy an Empire. 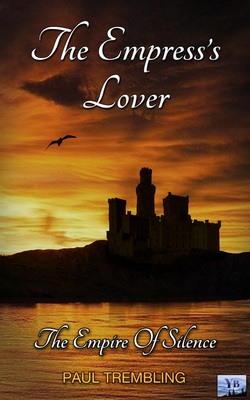 A forbidden love which can save it. For centuries, the First Order have held power over the mighty Eskarin Empire through the use of their Gifts. But now the Gifts are failing, and the Empire is threatened with revolution, repression and bloody civil war. In this time of crisis, the Empress Anatarna falls in love with a man of the Second Order. It seems like an act of madness that will destroy her authority and precipitate the Empire's slide into chaos. But Thylan An’Darsio possesses a secret that may yet save them all. If Anatarna has the courage to act on it. If she has time. Good read, would enjoy reading more along the same line. Plan to look into more books by this author! Definitely worth the time to read. A wounded warrior marches up a snowy hillside, carrying a treasure beyond price. He is met by a demon, a spiritual being of enormous power and malevolence. Upon their meeting hangs the fate of a world. (On Amazon for Kindle or Kindle Apps. Also available on Nook, Kobo, and other e-book platforms).